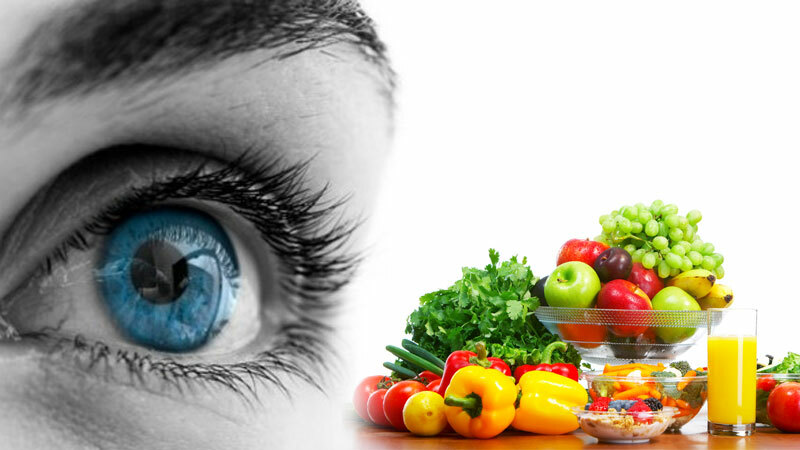 Research suggests that antioxidants and other important nutrients may reduce your risk of cataracts and macular degeneration. Specific antioxidants can have additional benefits as well; for example, vitamin A protects against blindness, and vitamin C may play a role in preventing or alleviating glaucoma. Beta-Carotene rich foods such as carrots, sweet potatoes, spinach, kale, and butternut squash when taken in combination with zinc and vitamins C and E, may reduce the progression of macular degeneration. To help protect against cataracts and macular degeneration, eat a diet rich in bioflavonoids, which comes from tea, red wine, citrus fruits, bilberries, blueberries, cherries, legumes, and soy products. Eating plenty of spinach, kale, turnip greens, collard greens, and squash may prevent cataracts and macular degeneration because they are rich in Lutein and Zeaxanthin. Foods rich in omega-3 fatty acids, such as salmon, mackerel and herring, freshly ground flaxseeds, and walnuts may help prevent macular degeneration (AMD) and dry eyes. Foods such as beef or chicken liver, eggs, butter, and milk contain vitamin A and may protect against night blindness and dry eyes. Vitamin C rich foods like sweet peppers (red or green), kale, strawberries, broccoli, oranges, cantaloupe, may reduce the risk of cataracts and macular degeneration. Foods high in vitamin D such as salmon, sardines, mackerel, and milk may reduce the risk of macular degeneration. The best source of vitamin D is exposure to sunlight. Ultraviolet radiation from the sun stimulates production of vitamin D in human skin, and just a few minutes of exposure to sunlight each day will insure your body is producing adequate amounts of vitamin D.
Vitamin E rich foods like almonds, sunflower seeds, and hazelnuts may reduce the risk of advanced AMD. Zinc rich foods such as oysters, beef, Dungeness crab, turkey (dark meat) may play a role in reducing risk of advanced AMD and reduce the risk of night blindness. We recommend trying Imperfect Produce– a company that sources not so perfect fruits and veggies and delivers them right to your door at 30-50% less than the grocery store. You can even get $10 off your first order! Sure, you know that lighting up a cigarette is never healthy — but did you know that smoking even damages eye health? Cigarette smoke is extremely toxic, containing as many as 4,000 active compounds, including tar, polycyclic aromatic hydrocarbons, formaldehyde, carbon monoxide, and heavy metals. Its effects on the lungs and heart have been well established by medical researchers and are well known. Not as well known are the detrimental effects that smoking can have on your vision. Smoking has been directly linked to two of the leading causes of vision loss, cataracts and macular degeneration. In fact, researchers believe smoking also causes or contributes to a number of other eye health problems. Research has found that smokers have double the risk of developing cataracts compared with non-smokers. This risk is triple for heavy smokers. In fact, doctors have discovered a specific relationship between cataracts and the amount that you smoke — the more you smoke, the more chance you have of developing cataracts. Cataracts occur when the eye’s naturally clear lens grows cloudy over time. This age-related condition causes blurry vision, faded colors, and increased sensitivity to glare. For some people, having cataracts is like trying to see through a waterfall. Doctors believe smoking contributes to cataracts by altering the cells of the lens through oxidation. There is also evidence that smoking leads to the accumulation of heavy metals like cadmium in the lens. Smoking and Macular Degeneration: What’s the Connection? Smoking also increases a person’s risk of developing macular degeneration. Studies have found that smokers face a risk of developing macular degeneration that is two to four times greater than that of people who have never smoked. As with cataracts, doctors have found that the risk increases the more a person has smoked. Researchers have also found an increased risk of macular degeneration in people who don’t smoke but are frequently exposed to environmental cigarette smoke. Macular degeneration involves the deterioration of the macula, the central part of the retina that allows us to perceive fine details. As the macula wears out, people experience blurriness, distortions, or blind spots in their central vision. Doctors believe that smoking promotes macular degeneration by interfering with blood flow to the retina. Smoking might also increase the deleterious effects of oxidation on the cells of the macula. There is hope for smokers who want to avoid smoking-related vision loss. 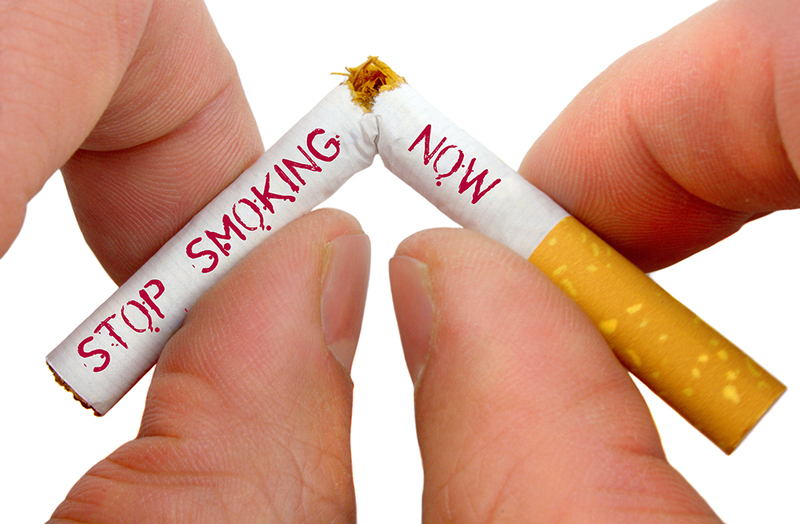 Research has found that quitting smoking does improve their chances of avoiding eye disease. For example, studies show that people who quit smoking will have a 6.7 percent reduced risk of developing macular degeneration after one year. After five years, the risk drops by another 5 percent. The same goes for cataracts. The eyes can heal from the damage done by cigarette smoking, although very slowly. Doctors say people who have quit smoking for 25 years have a 20 percent lower risk of cataracts when compared with current smokers. One of the safest things to do for your vision? Never start smoking at all. Ex-smokers still have an increased risk of vision loss from cataracts or macular degeneration when compared with people who have never lit up a cigarette. Routine, comprehensive eye exams will help monitor and prevent the effects of smoking on your eyes. Make an appointment today!